Hot chocolate. Ice skating. Snowy fun. Doesn’t this all sound like the makings of a perfect winter weekend? If you agree, look no further than Reno Tahoe to plan the ultimate outing in a true winter wonderland. Keep Jack Frost’s icy fingers at bay with tasty soup options from one of Reno’s many favorite restaurants. Fuel up with a warm and comforting bowl of delicious homemade soup from MidTown favorite, SÜP! If you’re craving a traditional staple such as French onion, then Wild River Grille might be the perfect lunch spot for you. Looking for something lighter? Try a healthy twist on beloved broccoli cheddar at Great Full Gardens. Craving caffeine? We have you covered. Reno Tahoe has enough coffee shops and roasteries to keep you going all day. Cozy up near the Truckee River at Hub Coffee Roasters, try one of Old World Coffee’s unique creations (hint: the almond/cherry latte with sea salt is life changing!) or order a drink almost too pretty to drink at Coffeebar. Done shredding the slopes? 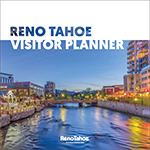 The fun doesn’t stop there – after all, Reno is a 24-hour town and winter doesn’t put a damper on the after-hours fun. 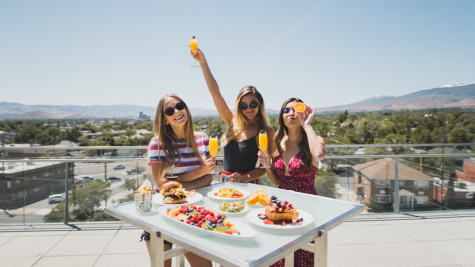 Join fellow revelers on the streets of downtown Reno during one of the many themed crawls throughout the winter and spring. If you’re seeking something in a warmer setting, there is no shortage of music, comedy and other live performances happening during the winter months. Take in the breathtaking ballet performance Ailey II at the Pioneer Center for Performing Arts or Cirque du Soleil’s latest arena performance, Corteo, at Lawlor Events Center. Sing your heart out at a concert with musical superstars Dierks Bentley, Toni Braxton or Tim McGraw. Laugh along with world-class comedians such as Larry the Cable Guy, Sebastian Maniscalco or Aziz Ansari. 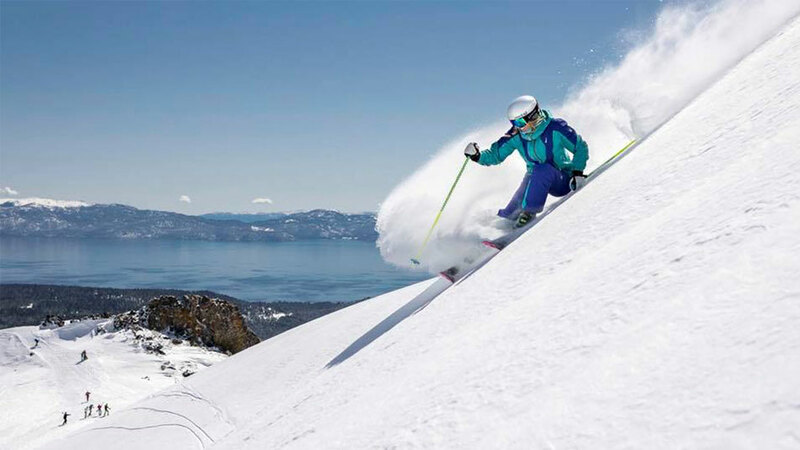 Reno Tahoe is synonymous with world-class skiing, making a trip up the mountain a no-brainer for your winter weekend agenda. To make your trip even more convenient, a number of shuttles are available to and from many ski areas. Sliding down a hill in the snow doesn’t have to be done on skis or a snowboard. Embrace your inner child and check out one of the many local sledding and tubing areas. Boreal Mountain’s Playland Tubing offers guests the fun of tubing, with less effort by providing tubes, groomed runs and a magic carpet to take tubers back up the hill. You can also sail down Heavenly’s 500-foot long tubing hill that has been named the #1 Tubing Hill in America. For those interested in exploring sledding hills on their own, Spooner Summit, Tahoe Meadows and Galena Creek Park are a few popular and easily-accessible areas. For an exhilarating way to get outdoors in Winter, Reno Tahoe has a network of groomed trails perfect for cross-country skiing. For those who crave a bit of an adrenaline rush, snowmobiling tours around Lake Tahoe satisfy that need for speed while also giving you the chance to experience the winter wonderland. Another option for getting around, with a little less traditional horsepower, is by dog sled. 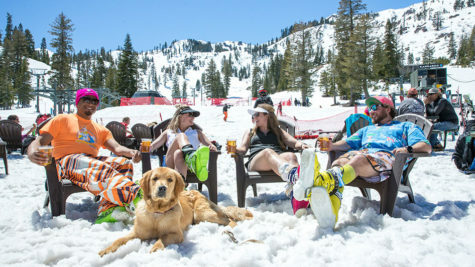 Several area resorts and adventure companies offer dog sled tours, which is a truly unique way to see the beauty of the Sierras. If you are in the mood for some fresh air but want to stay on level ground, lace up your skates and hit the ice. 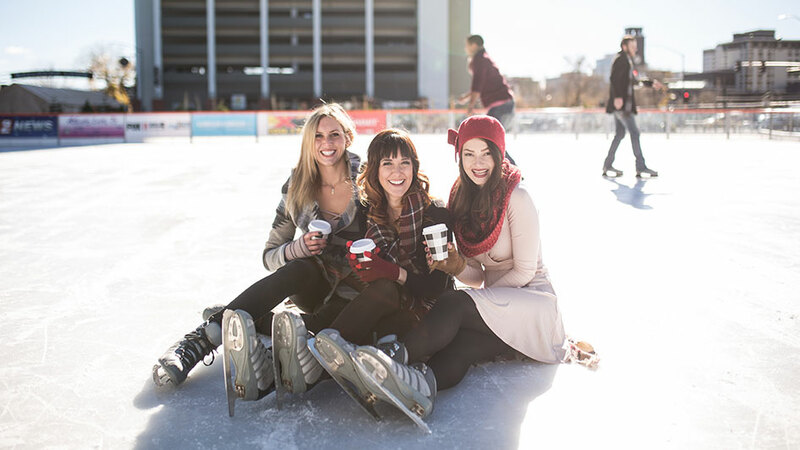 The region offers three outdoor ice skating rinks – in both Reno and Lake Tahoe – which provide fun for kids of all ages.